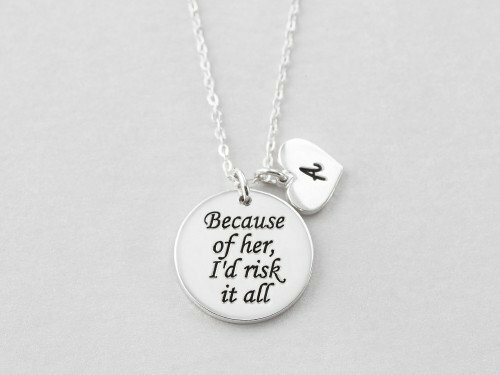 Home Mom Daughter Necklace Set - "Because of her"
Personalized with mom and daughter's initial, this mother daughter necklace set is a wonderful motivational piece for both mom & daughter. 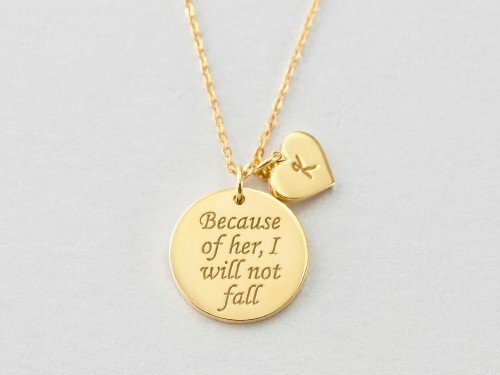 The message on the necklace for mom is "Because of her, I'd risk it all" and the one on daughter's is "Because of her, I will not fall." 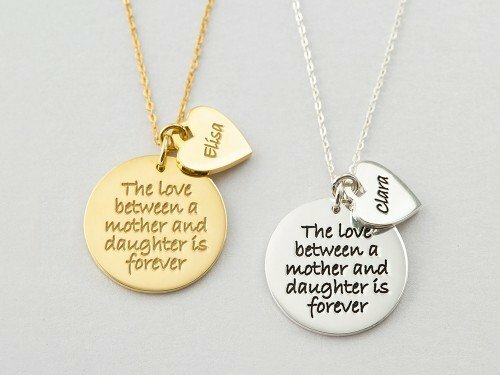 Beautiful messages on beautiful necklaces, these mother and daughter necklaces are great gift for Mother's Day and Christmas alike. - By default, they come in the same finishing color. 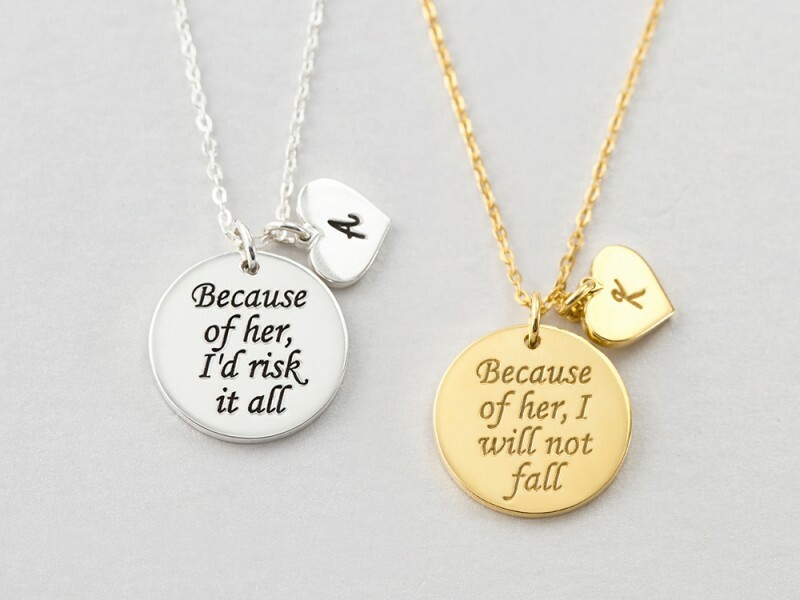 If you would like them to be of different colors, please make a note in "Instructions and Request" with the color of each necklace going by the initial. - Necklace 1 is mom's necklace and necklace 2 is daughter's necklace. Initial 1 is mom's initial and initial 2 is daughter's initial. 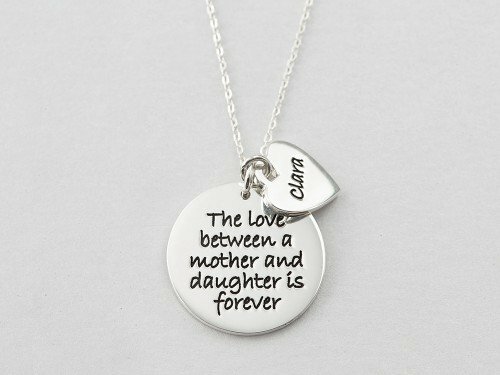 Mother Daughter Matching Necklaces - "Love between Mother and Daughter"